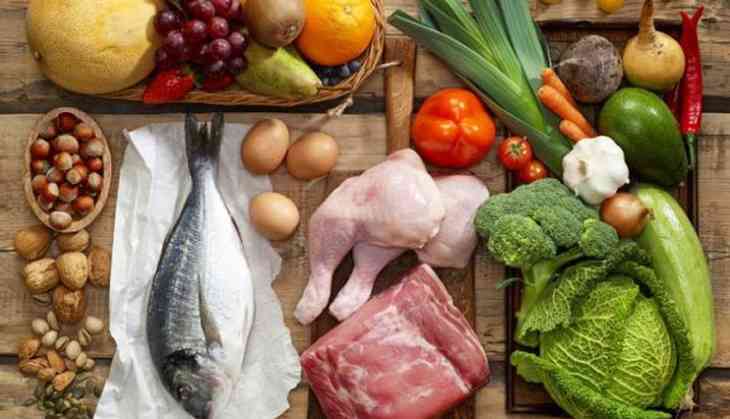 Home » Life & Society » What's the best source of protein for building muscle – meat or plants? What's the best source of protein for building muscle – meat or plants? Do vegan bodybuilders have the edge? A recent study was reported as showing plant-based protein was more effective for building muscle than that from animals. The higher environmental impact of eating a diet rich in meat and dairy products could also provide a reason for gym enthusiasts to switch to a plant-based diet. In fact, most of the protein eaten worldwide (58%) actually comes from plant sources such as soy, cereals, pulses and potatoes, with the rest coming from meat, fish, dairy and eggs, (although these proportions are reversed in Europe and the US). Unfortunately – as is all-too-often the case in the field of nutrition – the headlines that portrayed the new research in this way not only took the findings out of context, but also were inaccurate and misleading. So are plant proteins really better at building muscle? The study, published in the American Journal of Clinical Nutrition, looked at how consumption of six different plant and animal-based food groups related to muscle mass in around 3,000 primarily middle-aged volunteers. The groups were organised on the basis of the volunteers’ preferred protein source and were classified as red meat, chicken, fish, low-fat milk, fast foods and full-fat dairy, and fruit or vegetables. This excellent research revealed two main findings. First, and consistent with previous research, the study showed people who ate the most protein were more likely to have the greatest amount of muscle mass. Second, there was no relationship between the amount of muscle mass the volunteers had and their most commonly eaten protein source. So, in contrast to the sensational headlines, this study (like others) doesn’t support the claim that plant protein is “better” than animal protein for building muscle. Like any other credible research, these study findings must be placed into context. So it might not be appropriate to apply these findings about middle-aged people to other groups such as the elderly or young gym goers. Around 80% of these middle-aged volunteers met or exceeded the recommended total daily protein intake. Eating so much protein means the potential for different sources to have different effects would have been less important for overall muscle mass. By contrast, older people are at a greater risk of not getting enough protein because they tend to eat less food overall. So, selecting the best protein source for muscle building is likely to become more important as we get older and struggle to meet protein targets. Despite these limitations, there is some evidence that supports the idea that animal proteins are more effective for muscle building than plant proteins. Studies that have compared animal protein sources to plant sources on a gram-for-gram basis generally demonstrate that animal protein sources promote a greater muscle-building response. Studies in older adults have also shown that to switch on muscle building you need a lower amount of an animal protein such as whey than a plant protein such as soy. As such, we can view animal proteins as more “efficient” at prompting a muscle-building response than plant proteins. In trained young men of around 85kg body mass, our own study and others have shown that 20 grams of whey protein is enough to maximise muscle protein synthesis, although this may be closer to 40 grams after certain types of exercise. Based on what we know about the efficiency of plant protein, we can presume you would need more of it to get the same effect (in young adult gym enthusiasts). So these findings from controlled laboratory studies actually suggest that animal proteins are better for muscle building than plant proteins. 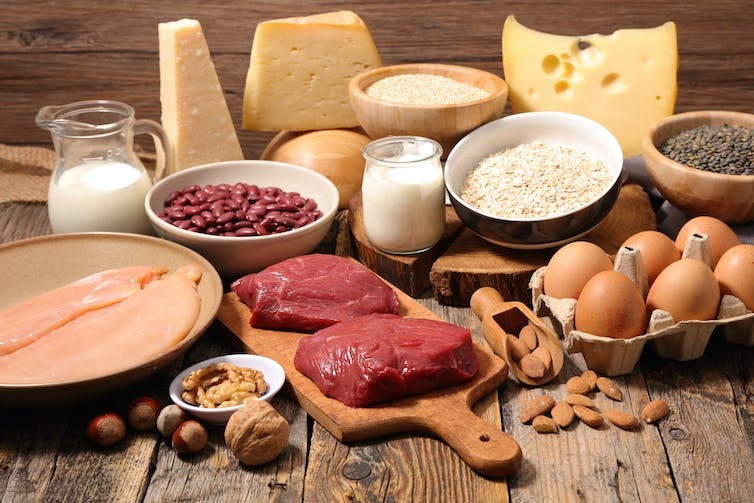 The reason why animal proteins are generally considered “higher quality” when it comes to building muscle is down to the type of amino acids they contain. Amino acids, in particular one called leucine, are thought to be key to driving muscle protein synthesis. In general, animal proteins have a higher proportion (9%-13%) of leucine than plant proteins (6%-8%). Plus, animal-based proteins usually contain all nine essential amino acids whereas most plant-based proteins are missing one or more of these amino acids. There are exceptions such as maize protein, which boasts a 12% leucine content, and quinoa, which has a full complement of all essential amino acids. So it may be that certain plant proteins are just as effective as so-called “higher-quality” animal proteins. We can potentially increase the “quality” of a plant-based proteins by fortifying them with extra leucine, combining different sources to make sure the food has all essential amino acids, or simply increasing the recommended amount of a plant protein source. As a note of caution, the latter option could require as much as 60 grams of certain plant proteins (for example seven large potatoes) – a dose that some people may struggle to consume. The search continues for a more sustainable and environmentally friendly source of protein that can offer similar muscle-building potential to animal proteins. But based on currently available evidence, vegan bodybuilders will have to pay particular attention to their diets to achieve the same results. Naam Shabana box-office: Akshay Kumar – Taapsee Pannu’s film shows good trend in weekend!